The best youth baseball bat depends, entirely, on what you mean by “Youth Bat”. Are we talking about the top rated USA Baseball Bats or the big barrel bats folks like the most? Jump to the full list below. After extensive hitting and measuring our hits, we’ve written 20 articles dissecting any number of situations for the best youth baseball bat. Why the 2018/19 DeMarini CF Zen? The bat is available in every little league baseball bat size you can imagine. It comes in a drop 5, drop 8, drop 10 as well as a USSSA version and a USA Bat option too. The feel on mishits is unmatched. DeMarin’s 3-Fusion handle is a thing of beauty and every hitter who has tested this bat is in love. Exit speeds always look fantastic with the CF Zen and the balance point is right in the wheelhouse that young players prefer. 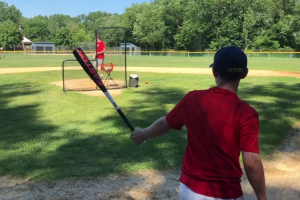 Here’s one of our reader’s testimonial on the drop 2019 USSSA youth CF Zen. Why NOT the 2018/19 DeMarini CF Zen? It is not inexpensive. In fact, its just flat expensive. There are other bats in the youth space as expensive, but none greater. The recent track record for CF Zen’s staying legal is not so hot. The 2017 youth CF Zen was banned in several sizes and even the 2018 CF Zen was nipped in a few sizes too. Granted, DeMarini does allow their purchases to trade their bats in. But, that doesn’t mean it isn’t convenient. 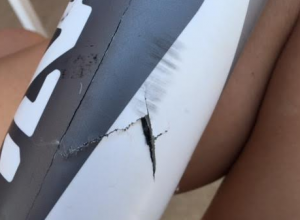 Some who were inconvinienced by the bat banning have really taken it out on DeMarini on social media. Some younger hitters prefer single piece bats, aluminum barrels or two piece hybrid bats. If that is you, then this bat won’t be a good fit. Of course we made a best ever list. The below bats are rarely in stock new anymore. You’ll need to go to eBay to find them. in value and now, after over 10 years on the market, only used models can be found. They price well over $500, and often well into the $600 range. best bat on the planet. to find. Even eBay searches like this often turn up nothing. boys 18 months before other bats began to close the gap. Other bats have arguably caught up to the 2014 MAKO’s impressiveness. But, at the time, the MAKO was the best youth barrel bat on the market—and it wasn’t even close. reason to visit our full list of best youth big barrel bats. Yet even despite the ridiculous price points on the bat, people willing to spend that much may not be crazy. Durability has always been a serious concern with the drop 10 CF8, but the bat flat out rakes. A good substitute for the drop 10 CF8 may be the new CF Zen. We discuss that more below. the Combat B1 and B2 above, it’s worth every penny. makes a bad hitter good, a good hitter great and a great hitter the king of the league. Only problem is the bat is not legal in very many leagues anymore. But, if you happen to be in one, and like the feel of dynamite in your hands, then figure out a way to get this bad boy. is our choice. If you’d like some cheaper and more readily available options then you will like our best drop 5 bats article. barrel and is an earth shattering blast at full contact. It’s hard to miss with its over extended barrel. Since it is not held back by BBCOR standards we think it’s the biggest hitting baseball bat you can still buy new in wrapper today. 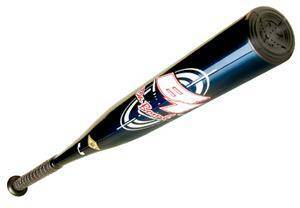 The drop 5 CF7 is an unashamed grizzly bear bat made to destroy baseballs, home run records and pitchers’ confidence. can swing a drop 8 correctly who does not just love the bat. The CAT 7 comes in a number of other sizes too. The BBCOR is also one of our favorites and so is the drop 10 JBB version. But, the drop 8, tops our list of best drop 8 baseball bats. We also love the CAT 7 because the price point is at least a little more manageable than other top tiered bats. Those who swing the CAT 7 drop 8 will never go back. the drop 10 CF Zen passed the test. And, it turns out, the bat is an absolute ball killer. an object, the CF Zen is the best drop 10 on the market. Rawlings makes a version of the VELO called the VELO composite. This bat is a two piece composite bat and built much differently than the traditional single piece hybrid VELO. But, the drop 12 is a fantastic bat for the kid looking for as much bat control and speed as possible with a reasonable and over-sized barrel. There are a handful of very good drop 12 bats. Our best drop 12 bat article sums them up nicely. So, if you are looking for more options and price points, head over there. On the whole, we would take the VELO for its ultra light drop 12 swing and legitimate price point over just about any bat in that specific class. It is difficult, at best, to narrow down the best youth wood baseball bats. This difficulty stems from the fact that no bat company has a patent on maple or ash trees. As such, just about anyone can buy a high quality wood billet from a major supplier and then put it on their lathe. Some minutes later, boom, you have a very nice ash or maple bat. That said, we do have an affinity for the AP5 from Marucci. At the pro level, it is one of the most popular turn patterns. The maple is as good as you can get anywhere. The brand name that stands behind it is the most popular MLB bat. In other words, it is very hard to go wrong with a youth wood AP5 from Marucci. 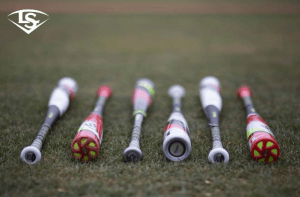 How Do You Determine the Best Youth Baseball Bats? best for most is not the best bat for all. We are hopeful our insights are simply once piece of the puzzle for you in determining the best youth baseball bat. Are Youth Bats and Little League Bats the Same? in the end, Youth Bats and Little League bats are not always the same. What Size Youth Baseball Bat Should I get? We cover the way to size a bat correctly on our bat size chart page. It is too long a conversation for a simple paragraph. But there, we give some insights worth considering. Who Should You Buy the XENO? What Makes a Good Fast Pitch Bat? 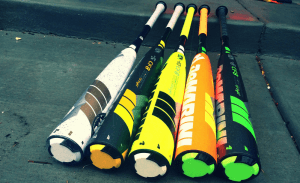 Should You Buy Used Fastpitch Bats? Here are the top 3 bats on our site based on the number of views. We don’t just look at best sellers and make our lists. Rather, we do real, independent measuring on all the bats we hit, rank and review. Here are the three main areas we measure with the 2019 Fastpitch bat line. We also wrote reviews on every 2019 fastpitch bat that we hit. The 2019 Louisville Slugger XENO. Although a few were close, we liked the Xeno’s wide range of options, great feel, more reasonable price point and straight jack like performance. translated more exit velocity. Our hitters, on average preferred this. Our exit speed tests, as well as the player direct feedback, thought the Xeno was the best performing (or thereabouts) 2019 fastpitch bat. We measured the exit speeds on hundreds of hits and of this much we are certain: The 2019 Xeno Can Rake. there. Better yet, even out of the ate, the 2019 Xeno is a good $50 less than other top end bats. In the end, this is why we gave the 2019 Xeno the best fastpitch bat prize over other similarly rated bats. Find it here. Of some surprise, Mizuno’s Power Carbon did remarkably well in our rankings and user feedback. Exit speeds were top shelf, the feel was loved and the swing weight sat right in line with the XENO. For a bat we had barely heard of the Mizuno Power Carbon was a huge, welcome, surprise. of Slugger’s LXT success in the fastpitch space is compelling too. hitters, we could not find anyone—regardless of hitting type and skill level—who didn’t love the Xeno. paint job. This is not a conspiracy by bat manufacturers or Slugger in particular. Bats are only produced in so much volume and when the 2018 version runs out there will be only 2019 versions. And since the 2018 was a great bat, why change much if anything at all? No doubt, there are plenty of really great drop 10 fastpitch bats out there. We like just about every one of them. Our hitters liked the XENO due to its sound and feel on contact. Even the bad hits felt good, they said. We like the price point of the bat and the pedigree of a real durability. It is helpful, too, the bat soared in our exit speed testing for average sized hitters. The at also comes in a number of drops. A drop 8, 9, 10 and 11 for this year’s 2019 Xeno. 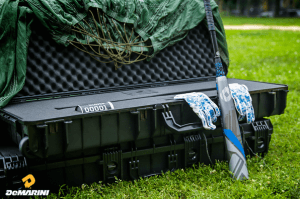 See our full 2019 Xeno Review. No bat has ever surprised us as much as the Power Carbon from Mizuno. The bat is a two piece composite with a swing weight much like the XENO. However, the two piece connection isn’t built as stiff. Our hitters loved every bit of it. To break into the big time fastpitch space with a brand new bat is a pretty remarkable thing to do. 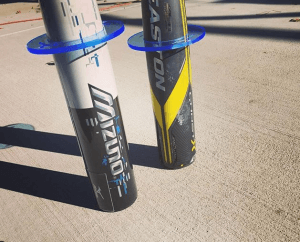 Bats like the CF Zen and LXT have been vying for the top spot in the fastpitch space for a number of years—and many times receiving it. And though we like those best plenty in this year’s 2019 class we can’t stop thinking about how fun the Mizuno Carbon 2 is to hit. better left to science labs. But, for what it’s worth, we’ve swung every baseball, softball and fastpitch bat in the performance space since the middle of 2013.
about their experience. Also, we study every available review we can find online or elsewhere. particular brand bias (as long as they sell it on amazon or ebay). who love the game and think it good to share the data and feedback we’ve compiled. Our hope is the approach is both nonthreatening and unbiased. If other parents and players find something useful in these pages then we feel successful. The 2019 drop 10 XENO from Slugger is built for the serious player who wants as much gumption from their contact as possible. Players will feel more feedback in this bat then they will with other bats like the LXT or Cf Zen. bats, the XENO comes in a great price point. Most composite bats are well into the $300 range. Within our testing, four common themes arose from players discussing what they did and did not like of any particular bat. They are (1) the barrel size, (2) the balance point and (3) the feel of the bat at contact and (4) the bat grands’ reputation. The XENO is a mid range swing weight, two piece composite performance bat with stiff transition. There are have been little changes in the XENO since 2016. (You can read our 2016 review here). keep the bat from overstepping the allowable trampoline effects. The bat’s handle is made of similar composite material. This composite helps both dampen sting and keeps the swing weight of the bat low. the handle and barrel, is stiffer than the others on the market. This stiffer transition gives hitters quick and unmistakable feedback and helps increase power transfer to the ball at impact. not be decided by some metrics and hitting data we’ve gathered. with this bat. If it is indeed the particular ‘best’ for your hitting and type and needs is a question we simply can’t answer. found to our surprise, writing our own fastpitch softball bat reviews, which were to be vetted our readers, kept us on our toes. Our data needed to be both accurate and helpful. to say we’d hesitate to recommend other bats—as there are a handful of good ones. But the 2016 Louisville Slugger Drop 10 LXT Plus consistently rises to the top any way we slice the data. in which we’d suggest buying a used LXT Plus. In particular, we are more willing to purchase an LXT plus that is a few months old instead of a few days old. There is a higher probability a composite bat has defects when it’s yet to really be used. The fact the hitter never had a good enough experience with the bat to keep it suggest something may be wrong. This reality keeps us away from ‘used’ bats that are only a few weeks old. the wrapper. As such, we look for a dirty handle and scuffed up barrel as a good thing in the used market. We have hit with every 2019 USA Bat. We think the best all around bat is the 2019 DeMarini Voodoo Balanced. Truth be told, there are no true standouts in the 2019 USA class. Several have good exit speeds and feel good on contact. Why do we like the Voodoo? The Voodoo rises to the top of our list due to its wide range of sizes (it comes in a drop 5 and has a 28 inch drop 10) and our hitters really like the smooth smash on contact. We also love the aluminum barrel and don’t worry about it getting broke or broke in. In all our years of testing and reviewing bats never has anyone complained about the durability of a DeMairni Voodoo. Also, the price point, at least compared to some bats, is attractive. We believe the bat recommendable across the board. Small, big, good, struggling or any other type of hitter will like the 2019 USA DeMarini Voodoo. We hit with every 2018 USA Little League baseball bat on the market. The Beast X Hybrid had our best exit speeds, felt fantastic on hits and mishits and has a huge barell profile. However, it’s swing weight was more like a drop 8 than a drop 10. Were you looking for all our best youth bats? If you need/want something that swings more true to the drop 10, the the best USA Bat in 2018 is the 618 Solo. Easily the best rated USA bat user wide, the 618 solo is just what the market needed. A well priced bat with a good feel, big barrel and a light swing. People wanted to love this bat and they did. But Doesn’t the Easton Beast X Hyrid bat swing heavy? 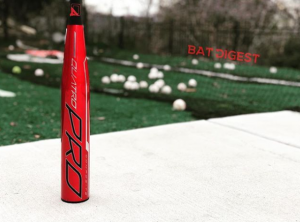 Although this bat swings heavy (and should be probably be categorized as a drop 9), we like the bat’s price point, size offerings and hot out of the wrapper performance. It is also helpful the bat is in the top of the rankings for largest barrel sizes and ball exit speeds. What’s the New USA Bat Standard? USA bats are the new standard by which many youth baseball organizations abide starting 1/1/2018. These bats use a performance standard different than USSSA or 1.15 BPF bats. Although more like BBCOR bats which are used in the high school and collegiate space, these USA baseball bats use a bigger drop (or lighter swing weight) to allow younger players success. You can read more about the reasons behind the change in our USA Bats article. Deciding the best USA Bat for 2018 is the most difficult ranking process we have yet to endeavor. With virtually zero player feedback on previous models or any previous year standards to measure it against, we feel a bit like we are shooting in the dark. However, as we put each USA baseball bat to use among a number of different players over the course of several weeks, we kept going back to the Easton Beast X Hybrid. Younger players loved the feel of the two piece bat. This bat, we should note, also felt like the Rawlings Quatro, Easton Ghost X and Mizuno Ghost, but each of those bats came at a considerable price increase. We also found the barrel size on the Beast X Hybrid remarkably large for an aluminum barrel. Most aluminum bats have barrel sizes noticeably smaller than their composite peers. The Beast X, however, ranks right among the largest barrels in the entire USA baseball bat class. The definitive factor for ranking the Beast X Hybrid at the top of our list was the results of our Rapsodo exit speed testing. The Beast X Hybrid hit the ball considerably faster during game conditions when compared to other bats in the class. Bat performance standards in baseball bats have narrowed the performance gap considerably, and as such, the feel of a bat becomes much more a conversation point than the objective performance. That said, the early feedback on the Beast X has been remarkable across the board in both our experience and others’ too. Are there USABat Break In Problems? One concern we raised in our hottest bats testing is the lack of performance within the USA composite bats. We wondered out loud—and will here too—whether USABats with composite barrels require more break-in when compared to BBCOR and USSSA composite barrels. Early evidence and reports suggest they do. But, we know for sure, aluminum barrels tended to outperform the composite ones in the USABat space out of the wrapper. Whether that phenomenon is a limitation of composite and the USABat standard, or something more simple like requiring a stronger work in, is yet to be seen. (We did work the USA Bat composites the requisite 250+ times before testing). As of this writing, we are confident the Beast X Hybrid hits the ball harder, although not by much, than any composite USA Bat barrel on the market. Determining recommendations on bats forces our thinking into both a quantitative and qualitative section. The qualitative section is generally more subjective, including principles like feel on mishits, where the balance falls on the bat and the general confidence the bat, its brand and design inspire at the plate. Quantitative data requires a more objective approach. It includes characteristics that we can measure, such as the actual swing weight, the bat’s actual weight versus its stated weight, the ball exit speed during game conditions and the max barrel length of the bat. We use both the quantitative and qualitative approach in our rubric for ranking the best USABats. It is similar to how we determine every one of our best bats. Our first impressions of the CF Zen are in its feel. The bat is an ultra nice swing on hits and mishits and our clear favorite in terms of the best feel at contact. Exit speeds were real nice and they led the composite space in exit speed. The swing weight on the bat is true to the drop 10 form and lands right in the wheel house of balanced bat. We do wish the barrel profile was larger than it is as the profile is the smallest of all the $299+ bats on the market. But, we don’t value barrel profile as much as others. We wish the bat came in a 29 inch option and, in large measure, is the reason we think it not the best USA Bat for 2018. But, in terms of the two piece composite space we really, really, REALLY, liked it. In the first year of the USA Bat standard you cannot expect more from a two piece composite bat. The Rawlings Quatro is a super smooth smash with a big barrel and good balance. We have no reason to think anyone with the bat will be disappointed. The only thing we found better in the Beast X was the exit speed. And in terms of statistical significance, that was a marginal win for the Beast X. The Quatro has a lighter swing weight and a bigger barrel. It also has a higher price point. Among the the two piece composite USABats for the 2018 year, we would have the hardest time passing up the Rawlings Quatro—assuming, of course, we were looking for a drop 10. In short, ugh. The 2018 Easton Ghost X misses the mark for us. We didn’t like how it felt on either hits or mishits. We’ve yet to find a player in the industry who liked this thing over smoother feeling bats like the Quatro or CF Zen. Many even preferred the single piece aluminum 618 or 619 Solo regardless of price too. It does have going for it a big barrel. The Easton Ghost X has the largest barrel in the USABat space for 2018—and considering the bat’s balance, such a barrel size is a remarkable feat. As well, and of serious note, Easton has the largest selection of sizes, drops and lengths in the Ghost X (drop 10, drop 8, drop 5) when compared to any other model in the space. For that reason alone we expect it to be the best selling 2018 USA baseball bat. Our love for Axe bats runs deep—some might argue a little too deep. Regardless of our soft spot, we like the two piece Elite in the USABat a lot. It comes in a drop 5 and serves the big hitting older kid that does not want a BBCOR bat in their hands this year. In other words, imagine the ability to take a drop 5 to the plate in those leagues that just last year required BBCOR. We like the idea of a hybrid bat in the USABat space. The concern of barrel performance and work in disappear with a hot out of the wrapper aluminum. And the two piece design gives a lot of kids enough confidence to swing hard every time. If you want a USA Bat drop 5 that uses hot out of the wrapper aluminum, then your only options are the Elite and the Beast X. Either are legit choices. The Ghost from Mizuno drives a real unique story. This is far and away, Mizuno’s most serious push into the Little League space, and the most unique bat of 2018. Unlike Easton, Rawlings or Wilson (DeMarini/Slugger) who have a proven two piece composite to build on, Mizuno offers this ring-tech bat in the USA Bat space, and to say the least, it is a major splash in a pretty crowded pool. To stand out, Mizuno has the BIGGEST barrel in the space. It even dwarfs the Easton Ghost X which puts the other bats in the space to shame. The Ghost uses a ring technology in the bat to expand its sweet spot. It sounds different than any other bat on the market. If you are up for a different stroke in a competitive field, we would recommend the Ghost from Mizuno. Its barrel size is unrivaled. And our exit speed tests put the Ghost right there with all the other two piece composite bats. We would not be surprised if in five years from now, you were to tell us that aluminum bats ruled the day with the new USA baseball bat standard. Much like BBCOR bats are ruled by aluminum barrels at the highest level of the sport, metal bats in the USABat standard (a restrictive standard for sure) might make more sense in terms of performance in the long run. We could be wrong, but would not be surprised if aluminum is king. And such a winning bat in five years from now might look a heck of a lot like the 2018 Louisville Slugger 618 Solo. A single piece aluminum with honest feedback, a light swing and a focus on bat speed might be just the ticket for the happiest players in the little league bat space. Add another hundred bucks or so in your pocket, and both player and parent win. We answer most of these questions in our USABats article. Check there for the full story. What are the new USABat Rules? Players in leagues that require the new USABat standard will need to use bats with the USABat stamp. The stamp indicates the bat has passed its performance restrictions. Those restrictions include a certain trampoline effect akin to BBCOR and less than USSSA 1.15 standards. It improves the size of the barrel to a 2 5/8 from the previous 2 1/4. Who is required to swing the new USABats? Many leagues have agreed to use the new USABat standard. They include Little League International and many of its affiliates. Including, but not limited to, Cal Ripken, Dixie Youth, Pony and at least a few more. Check with your local league to see if they are adopting the new standard. Why Make New USABat Rules? This continues to be a question in many people’s minds—and one we have yet to really find a great answer for. Ultimately, USA Baseball felt the Little League game was wrought with too much offense, insomuch the game was morphing into something different than what they had envisioned. A restriction on bats would limit offense, force the game to become more defensive, and give players a chance to focus on skills outside of hitting home runs. We find this mostly hard to believe, but there it is nonetheless. Safety is another issue many have brought up, but USA baseball denies this as a reason for the change. And, yes, we are stretching for an answer here. When are the New USABat rules in effect? USABats first went on sale in September of 2017. The leagues adopting the new bats rules require them for play starting January 1st, 2018. Our testers hit every 2019 USSSA Baseball Bat. We tracked the exit speeds of those hits, measured barrel sizes and swing weights as well as detailed our testers’ feedback. We graded out each bat and found the best USSSA Baseball Bat for 2019, regardless of price or drop, is DeMarini’s CF Zen in a drop 5. Those on a budget, or looking for a real value buy, should like the Easton Ghost Speed. We found that bat packs a full on punch, has a huge barrel and swings right where we want it too. If you want something cheaper, then check out the 2019 Rawlings 5150. The 5150 is a staple in the traditional bat market. Smooth swinging, although slightly heaver, single piece aluminum. We've spent considerable time with Rawlings 5150 line of bats. It is as familiar in the industry as any bat has ever been. This chart sorts by highest rated. Our millions of readers rate bats every year, we approve each review. Our process included barrel size measurements, exit speed tests and swing weight measurements. That objective data, combined with a dozen hitters using the bats and recording their direct feedback plays roles in determining the best big barrel bats. We also observed what players tended to use at major tournaments and spent considerable time looking for objective online reviews. Much of more detailed findings can be found on our USSSA Big Barrel bat reviews pages under our individual reviews for the following bats. Below is a highlight of our 2018 best big barrel bats. The 2018 CF Zen is really a perfect bat. DeMarini has dialed in the feel and barrel performance better than anyone in the USSSA space. We have dozens of players try our every bat in the market (even the small ones) and the Zen always rises to the top, or right near the top, of everyone’s list. This 2018 version is not much different than the 2017 Retooled version. But, even after the 2017 version was retooled we still loved it. See our full 2018 CF Zen review. There are a number of other great options in the big barrel space. Especially in the drop 5, we love the Easton Ghost X for many of the same reasons we love the CF Zen in the drop 10. The Ghost X Drop 5 has remarkable pop and a good sized barrel. Expect an endloaded feel. Oddly, the drop 5 Ghost X has a smaller barrel profile than the drop 8 or drop 10 Ghost X, but that doesn’t mean it doesn’t absolutely rake. See our 2018 Easton Ghost X review. Both the Easton Ghost X and CF Zen come in very nice drop 8 options. But, our favorite drop 8 big barrel for 2018 is Marucci’s CAT 7. This swings, feels and sounds a lot different then the two piece composite bats that grace this list. But, no doubt, it is delivers absolute screamers. We love the balance and slightly tapered grip as well as the durability and brilliant feel. The stiff feel from the single piece can occassioanly ring the hands but Marucci’s AV2 knob is unique feature that makes it reasonable for even young hitters. This is a top shelf cold weather bat built for performance players at a fraction of the price. See our Marucci CAT 7 review. The easiest choice on this list is the 2018 Rawlings VELO for the best drop 12 bat. Most bat companies do not take the drop 12 space seriously. They leave their second teir bats to top out on the space. Not Rawlings. They actually upgrade their traditional single piece Rawlings VELO into a two piece composite with a huge barrel and a real great feel. If you are looking for the best 2018 drop 12 bat, and money is not an option, then the two piece Rawlings VELO is a fantastic option. See our Rawlings VELO review. There are not very many cheap 2018 big barrel baseball bats worth mentioning. Under $75 are about the same. That is, a single piece of aluminum shaved down to offer a light swing weight. These rarely have any tech that helps dampen sting. But, if your player is new to the sport and you just looking to get through a couple games before diving into the deep end we really like the Easton S450. You can find this bat everywhere for a pretty cheap price and as a drop 11 it should be useuful to the beginners. If you have a budget of $100 and are trying to be the most wise we suggest the 2018 Omaha 518 as the best value 2018 Big Barrel Bat. There is not a ton of tech on this bat as, it is, a good old fashioned single piece of aluminum. However, the barrel performs really well and is considered one of Slugger’s top end bats. We like the grip, tapered knob and number of size offerings (drop 10, 8 and 5). It’s a very legit choice for under $100. See our Slugger 518 review. As always, looking for many of the above bats in a 2017 model year option can usually save you a few bucks. With the exception of the drop 12 VELO, the 2017 version of each of the bats we list above are basically identical. And, if you can find them, likely worth it at a discount from this year’s model. Finding used or last year’s model is a bit of an art form and we discuss some tricks to buying bats here. One notable exception, in terms of saving money from last year’s model, is the 2017 Drop 5 DeMarini CF Zen. This bat is straight ridiculous. Very hard to find at any level of a discount. It is our favorite drop 5 bat maybe ever. (The below section entails our write up for 2017 bats. If you are looking for our thoughts, after hours of testing, on the 2017 line of big barrel bats then see below). There are a ton of great drop 5 bats on the market. Easton’s MAKO XL Beast, Marucci’s CAT 7 or the Voodoo Insane are great drop 5 options. But the bomb making ability of the CF Zen is unmatched. The 2017 model over the 2016 model, added some barrel length with a new internal design. The technology in the knob to help dampen sting is still there. Expect a focused barrel and a super smooth feel. Great for kids who can handle a drop 5, but who don’t think an endload is the feel for them. See our 2017 CF Zen review. We originally had DeMarini’s CF Zen in the drop 8 as the winner of this section. However, the bat was deemed illegal by USSSA and several other leagues. As such, it probably does not deserve a strong recommendation. The drop 8 CAT 7, however, does. The at is dynamite for all the same reasons the drop 5 bat is awesome. Expect a smooth swing and a beautiful ping. The bat sings when it is hit well and it really benefits the player who has good bat speed. The barrel is a good size and the balance is managable but by not means light. See our 2017 Marucci CAT 7 review. 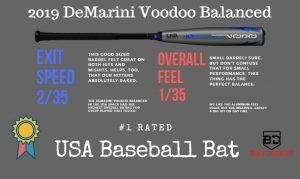 DeMarini’s Voodoo 2 5/8 big barrel bat is our favorite drop 9 of the bunch, in part because the balanced two piece hybrid is a great smooth swing with that hot out of the wrapper aluminum from DeMarini we have grown to love. Collegiate teams that swing DeMarini almost always tend toward the Voodoo over the CF Series. The other part of the reason we think it is the best drop 9 big barrel today is because it is just about the only one. Most other brands offer a drop 10 or a drop 8. A two piece hybrid in a drop 10 or drop 8, though, is difficult to find, too. Hence the reason the DeMarini Voodoo dominates the space. See our 2017 DeMarini Voodoo review. No bat space in the baseball bat market is more competitive, save BBCOR, than the drop 10 big barrel space. There are literally a half dozen or more great choices in this exact space. We chose the Easton MAKO Beast as our best big barrel drop 10 for its barrel size, balance weight and great performance. Every single player who used the bat sang it’s praises. The Easton Beast won our best overall 2017 baseball bat award. Not a small feat. In part that award rests on fulfilling the purpose of the drop 10, which the Beast does so very well. We are confident there is not a kid in the drop 10 big barrel space that will dislike the 2017 Easton MAKO Beast. The only thing we don’t like about the Beast is the price—but welcome to youth baseball. See our 2018 Easton Mako Beast review. Like the drop 9 section, there are not a ton of bats competing in the drop 12 space. Most drop 12 bats are made for the Junior Big Barrel divisions which come in shorter sizes between 26, and possibly 29 inches. We dedicate an entire page to those best junior barrel baseball bats. In the Big Barrel, a.k.a. Senior Barrel, realm, there are only a few that really compete with bats longer than 28 inches. One favorite of ours is the 2017 Rawlings Composite VELO. This bat is unlike any other in the VELO line, as instead of a single piece hybrid, it is a two piece composite bat. It comes in a 2 3/4 only, but has a super light swing weight. Reviews of last year’s model were not stelllar, due to some durability issues on some early releases. But the 2017 model claims to have fixed that, and our players have had great success with the drop 12 VELO. See our 2017 Rawlings VELO review. Anyone who reads this blog knows we are in love with the drop 10 2015 Marucci Hex Composite. For us it was love at first site. The barrel is gigantic, swing weight light and sweet spot large to say nothing of the design which we think looks fantastic. Those in the market for a top shelf big barrel bat in only a drop 10 will not regret this decision. It’s clearly a top shelf choice for 2015. (Check pricing here). The Drop 5 CF7 from DeMarini may be our favorite bat of the year in any category. My three sons prefer this bat over any of the arsenal we have and the ropes drilled from this bat are remarkable. It does not come in a 2 3/4 version (only 2 5/8) but we stand by our earlier claim: if you can swing it, you should swing it. It’s also not inexpensive but if any bat has claim on the top of a list of best senior league or big barrel bats we don’t know how this wouldn’t be anything but first. (These are still hard to find, but check pricing here). Combat’s 2 5/8 drop 12 Portent G3 puts a stamp on the phrase “big barrel bat”. This stick should make any list of top shelf big barrel youth bats for 2015. The barrel is smooth and Combat’s seamless construction makes for a real fun hit. The green version is a boat oar at the plate with an ultra light swing weight and lizard skin grip. Those who prefer one piece bats and Combat aficionados will be perfectly pleased in this green monster. (Check pricing here). We admit this choice is predicable, but how do we leave off what is probably the most popular bat off the best bat list? Easton’s 2015 big barrel MAKO is as good a bat you may ever swing and, like the BBCOR version, those who swing it scoff at the idea they should ever try something different. Huge long barrel, low swing weight per length and a couple different options: a drop 10 2 3/4 and drop 9 2 5/8. The marquee bat from the biggest metal and composite bat company is predictably good great and is easily a top 5 big barrel bat for 2015. (Check pricing here). At the risk of being an Easton Homer, we follow up the MAKO with the 2015 Easton XL1. This bat is the only drop 8 big barrel to make the list (although the DeMarini CF7 and Combat G3 both come in a drop 8). 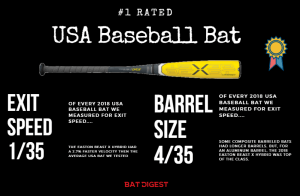 But the big barrel 2015 XL1 drop 8 is the perfect bat for a heavy hitter who isn’t quite ready for a drop 5 yet. The XL1 is a monster bat whose genealogy contains the famed Easton Omen and little league series lore. The bat is highly, highly recommended. (Check pricing here). Probably should have made this list: Slugger 915 Prime drop 5, DeMarini Overlord FT drop 9. Why they didn’t make the list is a mystery, but its a top 5 list and we had to make it shorter. These bats rock in the the big barrel market. 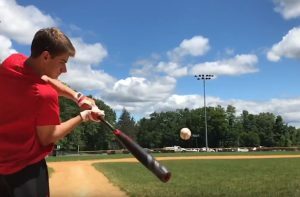 What is the difference between a Senior League bat and a Big Barrel Bat? There is significant confusion in the industry surrounding the terms big barrel and senior league. Each vendor often uses them interchangeably. Technically, a 2 5/8 bat that is NOT a drop 3 is considered a Senior Barrel bat. Big Barrel bats are 2 3/4 sized bats. But, don’t expect the vast majority of vendors and manufacturers to make the distinction. What is a Junior Big Barrel Bat? Junior Big Barrel bats are 2 3/4 inch baseball bats meant for smaller players. They often come in a max size of 26 or 27 inches and have considerable drop weights. These bats are usually not rated for pitch speeds over 45 miles per hour. What is the best Big Barrel Bat for a 10 year old? We cover the 10 year old question exclusivley in a best bat for 10 year old article. 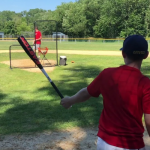 Can you use a Big Barrel Bat in Little League? If you are talking the official Little League then the answer is no. They use USA Bats now and you can read all about that stuff here. Are all bats the same? It is probably safe to say that a top shelf bat from any number of companies performs at peak powers. If it says Slugger, Easton, DeMarini, Rawlings, Axe, Anderson, Marucci or Combat (and maybe one or two others) than you can bet the bat is legit. Are better bats always more expensive? Bats that have higher price points tend to have larger barrels, more specific swing weights and technological innovations that dampen hand sting. What has BPF 1.15 standars done for the market? BPF 1.15 standard implementation has really forced bat companies to the drawing board on innovation. This is ultimately good for all of us. Are Swing Weight and Bat Load the Same? To the contrary of what many vendors often erroneously claim, a bat with an end load does not also have a high swing weight or MOI (mass moment of inertia). Instead where the load is found in a bat is only one of many factors which determine swing weight—the most important of which is arguably the total length of a bat. Just because a bat has a handle or end load does not also mean it has a low or high swing weight. You can prefer an end loaded bat but get a low swing weight by simply getting a shorter size. See our swing weight charts. We have hit with every little kid bat in the market from 2015 to 2018. In short, our current favorite bat for a 7-year-old is the 26 or 27-inch 2017 DeMarini CF Zen Junior Big Barrel. This little guy packs a serious punch, handles very well, and gives top end performance even at tough pitch speeds. If you want to spend less, then check the 2018 Louisville Slugger 518 Omaha in a shorter size. Don’t miss our reasoning below! Too Expensive to be the Best? Over $150 on a bat for a 7 year old is pushing most people’s envelope. Here’s a formula to decide if you should spend it. Take the number of games you are playing and multiply it by their age. (In this case, 7). Our general rule is don’t spend any more than that on a baseball bat. Playing 10 games then multiply 7 by 10 (for $70) and don’t spend more than $70. $70 is way less than the $160 or so the CF Zen JBB Drop 11 will cost you. So, look elsewhere. If you are looking for the best overall bat for a 7 year-old, we recommend the drop 11 2017 DeMarini JBB in a 26, 27 or even a 28-inch length. These JBB’s come in a drop 11, meaning the 26 inch bat will weigh just 16 ounces, the 27 will weigh 17 ounces and the 28 will weigh 18 ounces. It will provide plenty of barrel for the 7-year-old at a very balanced and light swing. There is a new version of this bat in the 2018 but we think saving the few bucks for last year’s model is the way to go—assuming you can find it. The “Senior League” version of this bat was banned for play in 2017. 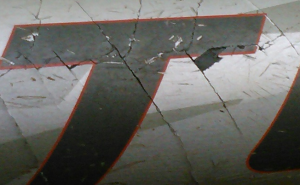 This JBB, a drop 11, is NOT that bat and is legal for play in USSSA baseball. You can see our full 2017 CF Zen review here. If the DeMarini CF Zen JBB doesn’t intrigue you, we suggest the Junior Big Barrel CAT 7 from Marucci. This single piece aluminum bat will work in all types of weather and is generally more durable than the CF8. The barrel isn’t as large as the CF8, but it has a different feel as a one-piece bat. The player can feel much more contact on this little guy. See our CAT 7 Review here. What we really like is the 25-inch option, which is not available in the CF Zen. While supplies last, we suggest you try and find the CAT 6 in a JBB version. If you can find it then we think it worth the price savings as there are not changes between the CAT 7 JBB and the CAT 6 JBB. Although there are very few options in the 7 year old fastpitch space, this Jennie Finch T-ball Softball bat in a drop 13 is a perfect fit. It’s a single piece bat built with a very low swing weight so even the tiniest of 7 year olds could hit this bat well in the 24-inch and 11-ounce model. The 26-inch and 13-ounce model will do well for just about every one else. The Axe T-Ball HERO bat is easily our favorite t-ball bat on the market. The asymmetric handle helps little folks develop great mechanics from day one. The bat comes in very tiny sizes, and at 7 years old, some may need something a bit bigger. But, the 26-inch and 15-ounce should be a great fit for many 7 year-olds still raking in the t-ball ranks. If you want other tee ball bat options, then check out our best tee ball bat pages. There are several good value options in the 7-year-old big barrel bat space. Bat companies know this market segment is huge and would love to get little Timmy hooked on their brand at a young age. If we were forced to choose one of the many options under $80, then DeMarini’s 2 3/4 JBB Uprising would take our money. See our Uprising Review here. 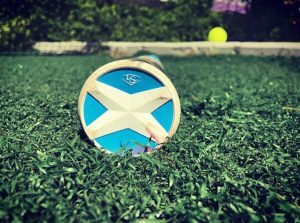 It has a great sized barrel, fantastic user reviews, and fits the bill for a short term option as our 7 year old makes progress with mechanics before worrying too much about his bat. We cover our best USA Bats in a different article and discuss the best cheap USA Bats here. It is likely you will see some options there you like. As this article is dedicated to the idea of the best 7 year old bats we suggest you take a look at the Louisville Slugger 618 Solo in a drop 11. These come in as short as a 28 inch and as these bats swing weight should be alright for at least a couple 7 year olds. Otherwise, the USA bat market for a small player is shockingly tiny and tough to come by. See our full 618 Solo USA Bat review here. Our testers hit every 2019 BBCOR bat. We tracked the exit speeds of those hits, measured barrel sizes and swing weights as well as detailed our testers’ feedback. We graded out each bat and found the best BBCOR Bat for 2019, regardless of price, is the Quatro Pro or the Meta Prime. We loved, to name a few things, the smooth smash on hits and mishits, the exit velocities and balance. 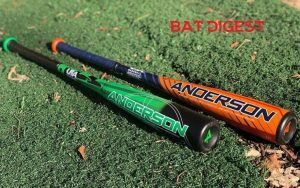 For those on a budget, our testers really liked the Easton Alpha and DeMarini One. Both bats are single piece aluminums and are priced accordingly. They hit the ball hard, felt reasnoable for a single piece and looked great. The Alpha is patterned after the 2018 Easton Beast X and the ONE is the similar to the 2018 DeMarini Voodoo One. How We Decided the Top Rated 2018 BBCOR Bat? We are confident no one has hit a greater variety of BBCOR bats in the last year. We, at Just Bat Reviews, make it a point to deliver real reviews from real players. A major piece of the baseball bat market is the BBCOR space, and as such, we have used every performance ($150+) BBCOR bat for 2018 in some fashion or another. Most of that work comes between three to four different hitters, but often we gather feedback from far outside that circle, too. Much of the data we capture is qualitative. That is, it responds to the quality of the product in terms of feel, aesthetics, and personal feedback. They serve as a basis for our impressions of the bat. Qualitative data is less objective and, therefore, harder to transfer its value from one player to another. We also use a number of quantitative measurements to get a feel for the best BBCOR bats. Our exit speed testing and barrel testing, as well as our liberal use of swing weight calculator, influence our rankings considerably. As well, we use aggregated feedback from some ratings sites like Amazon and justbats.com to get a feel for what people may or may not be saying about the bat. Granted, much of those reviews are terribly difficult to verify and it is possible, maybe even likely, they are scrubbed by the sellers to only portray a positive outlook. Fitting a baseball bat is too much a function of feel and personal feedback for any general recommendation of the best BBCOR bat to be right for everyone. This is our funny way to to answer the question of whether we are right by simply saying no, we are probably not right. We can say with confidence we are not right for everyone. Our defense is a best effort in finding the 2018 BBCOR bat players would be the most happy with on average. Does that mean everyone will appreciate the feel, pop and balance? Of course not. But our best guess—which we believe is more educated than anyone in the market—is without industry or vendor bias. Every review we write also captures the ratings of our readers. This shows the highest rated BBCOR bats for 2018 as determined by the thousands of folks who come to our site. Part of the reason we loved the 2018 Rawlings BBCOR Quatro is the fact it rated out the highest in our BBCOR exit speed test. That is, under controlled circumstances, we found it had the most pop. Of course there are several problems with measuring exit speeds in a controlled enviroment, many of which we discuss in that article. But, in terms of the bat we found could hit the ball the fastest it was the 2018 Rawlings Quatro. As well, the BBCOR 2018 Quatro has a balanced swing weight. It’s official swing weight, as we recorded it, sat in the bottom 30%. That is, 705 of BBCOR bats in the 2018 swung heavier. Lightness in the swing isn’t a good or bad thing when isolated by itself. It just is what it is. Most players, especially highschool BBCOR players, prefer a lighter than average swing and the Rawlings Quatro fits squarely in that mix. The balance and buttery smash on both hits and mishits. It also rated out as the BBCOR bat with one of the largest barrels and highest exit speeds. The Rawlings Quatro averaged over 2.1% hotter in our exit speed tests than the average of the 35 bats we tested. Also, turns out, we love the many length options and the balanced swing. 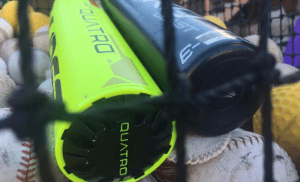 ​Is the BBCOR Quatro the right bat for everyone? Make no mistake, there are a lot of great options in the BBCOR space. Every major company, and even some of the small ones, are able to deliver a bat that produces exit speeds right at the limit—and some companies do it with several bats. But all bats are not created equal just like all hitters are not created equal. Below we categorize more of our favorite BBCOR bats for the 2018 season. We have hit with, watched others hit with, and measured the success of every 2018 BBCOR Bat on the market. We often prefer hybrid bats for their durable and hot out of the wrapper nature. (A hybrid bat, you may recall, is a two piece bat where the barrel is aluminum and the handle is composite). After all that hitting and measuring, we are in love with the 2018 DeMarini Voodoo Insane. The bat packs serious power, can hit the long ball like nobody’s business, and feels ultra smooth on both hits and mishits. If there is any bat in the 2018 class we might take to the plate before the Rawlings Quatro, it is the 2018 Voodoo Insane. We have a running tally of our favorite metal bats on a different page. But here, for our favorite 2018 BBCOR aluminum bat, we like the 618 Solo from Louisville Slugger. Not only did the 618 create the closest grouping of high speed hits in our testing (meaning the bat was the most consistent) but it also comes in sizes ranging from a 29 to a 34. And in a world where BBCOR bats are required for very small players, it is an absolute plus to have a 29-inch bat. ​With a number of options to choose from, the best BBCOR bat for 2017 is Louisville’s 617 Solo.We love the bat’s ultra light swing due to its extended composite end cap. The fact it comes in a 29-inch is a huge plus for a market that demands the lightest swinging sticks on the market. As we mention in our exclusive ​best bat article, the 617 SOLO has a huge benefit at a reasonable price point too. Slugger’s 617 Solo tops our Best BBCOR Bats 2017 list. This articles serves as a subset to our best. It works along side our best Little League bats article. Both may be worth your time ,too. There are several reasons the ​617 the top of our Best BBCOR Bat 2017 List. For starters, we like how the 617 SOLO is different. Unlike most top shelf choices that run with an expensive two piece composite bat with an over-sized barrel, the SOLO is a moderately priced bat in the single piece hybrid space. This design keeps the lighter swing found on more expensive bats, but now delivers hot out of the wrapper performance. The barrel size, usually sacrificed in aluminum barrels, is still large. Throw in the fact the bat’s MSRP is under $300, and the choice of a non-composite barreled bat gaining the top prize is actually pretty simple. What is that you say? The bat also comes in a 29/26 inch length making it the LIGHTEST swinging bat in the BBCOR space? Done. ​​As predictable as the sun rising in the East, we like the ​2017 MAKO BBCOR a lot. This type of bat, a two piece composite with a balanced swing weight, has come to define the performance space. The MAKO Beast, much like the CF Zen below, sits at the top of the shelf in players’ minds and parents’ wallets for a reason. 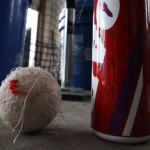 It is a smooth swinging, buttery smash ball driller and few there be that walk away unimpressed. ​​In ​2016 our favorite bat of the BBCOR bunch. Even today, well into the 2017 bat market season, the CF8 is in high demand—-it is a tough find ​atcounts Zen is the next generation of that CF8 without much, if any, real changes. Like the bat’s predecessor, we have yet to find a player that does not love the BBCOR CF Zen. This, like the Easton MAKO, is a remarkably legitimate stick in the hands of so many players. Even bad ones. So, why not the top spot? ​If you are looking for a bat that is like the 2017 Louisville Slugger 617 SOLO, then ​Marucci’s strongs an unrelated cousin. The idea is the same: balanced swinging single piece aluminum. The bat is hot out of both the wrapper and photo-shoots. It uses a proprietary sting dampening mechanism in the knob to help remove some vibration on the thumb during mishits. However, the CAT 7 does not have the extended composite end cap like the 617 SOLO, so expect a slightly heavier swing per given inch. It does not come in a 29 inch, but it is $50 cheaper. ​If you are looking for a near mimic of the 617 SOLO, then the ​2017s the ticket. This is also a single piece aluminum with an extended composite end cap. The bat is built with a very light swing and fits in the same niche as the 617 SOLO across the board.​ However, the 2017 Rawlings VELO’s shortest length is a 31 inch. Axe’s asymmetric knob on the Hyperwhip is combined with an asymmetric endcap. This endcap shape removes weight and lightens swing weight dramatically. Like the 617 SOLO and Rawlings VELO, it uses an extended composite end cap to even further reduce swing weight. To put together this list, we have hit, seen hit, reviewed, tested and read numerous reviews on every single 2016 BBCOR bat on the market. As well, we compiled data from NCAA Division 1 World Series stats according to the bat they used. Although the answer can never be the same for everyone, all of this information led us to name the Best BBCOR Bat for 2016. More details and reasoning follow in our discussion of the best BBCOR bats 2016 list. We consider this our definitive and final work on the 2016 season. ​DeMarini’s 2016 BBCOR CF8 has everything most people want in a BBCOR bat. For starters, the bat is balanced. Meaning, it swings easily and gives a lot of barrel for such a silent swing. Additionally, the bat is a two-piece design, so it allows for a smooth smash on sweet spots and a manageable ring on mishits. As well, the barrel is composite which leads to a larger barrel and greater performance along the length of the barrel. Also, DeMarini’s CF8 has a long pedigree of top shelf performance. Add to that sweet and comfortable design a few other factors. Namely, users voted that bat as the best for 2016; the 2016 BBCOR CF8 is a very hard find because lots of people like it; Amazon reviews are generally glowing. ​Our Best BBCOR Bat 2016 edition wouldn’t be complete without a runner-up. That award goes to the ​2016MAKOes, you read that correctly. The TORQ actually won a 2nd place award on this site.Why the TORQ and not the traditional MAKO? Fair question. We will ask one of our own: why the MAKO and not the TORQ? They are, after all, the same exact bat. Put some Lizard Skin to pin down the spinning handle and BOOM! you just got yourself a MAKO. The MAKO TORQ has consistently run several dollars cheaper than the MAKO—enough to afford a Lizard Skin and still come out ahead. 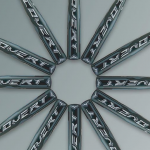 The 2016 BBCOR MAKO Torq is an easy choice. There are only a few bats on the market made for dead serious big hitters. We discuss many of those at length in our ​bestitter’s. In the 2016 line, our top BBCOR bat is the 2016 Rawlings is a two-piece hybrid bat with an endload and a super stiff transition. Our experience with this bat left us enamored with the reasonable endload, hot out of the wrapper performance and trust in a model line that has supported big hitters for several years now.Of course, like the CF8 and MAKO above, the best power hitter’s bat is a function of preference. Many big hitters like the ultra stiff feel of a single piece bat, and as such, the Voodoo Raw won’t cut it for them. ​2016 may be the most unique bat ever invented. The bat’s asymmetric knob, long a fixture on Axe bats, leads to a phenomenon we have discussed at length referred to as “predictive impact.” The shaped knob forces contact on one side of the barrel. Axe plans for this by supporting the contact side of the barrel differently than the non-impact side.In the 2016 Hyperwhip, Axe took it a step further by shaping the end cap to elongate the barrel on the hitting side. The asymmetric knob now has an asymmetric friend at the opposite end of the bat. This design creates a lower swing weight than could possibly be found on a bat without predictive hitting. ​DeMarini’srongure to hit with. It’s sting dampening is top shelf. The barrel size is perfect. Its mid-balance, hand loaded feel gives great bat speed and feel through the zone. It is impossible for anyone to really measure in game batted ball speed in relation to other bats and we know that BBCOR standards really level the playing field, but from a pure eyeball test its hard to say anything hits the ball with as much velocity as the CF7. We simply love this bat. ​Maruccia​pre-season and we are still in love with it for all the same reasons. We love the one-piece feel of power and drive. And with the added sting resistance in the knob it should be a preference for the rope-makers among us. The bat is downright beautiful. Any honest list of the best 2015 BBCOR bats must include Easton’s 2015 MAKO. This bat should sell upwards of twice as many as any other BBCOR bat in production for 2015. It’s barrel size is dreamed of, swing weight calculated precisely for the widest audience and two piece construction arguably flawless. Easton isn’t the largest baseball bat company only because they have massive distribution and marketing. No, they are they largest composite and metal bat company in the world because they make bats like the MAKO. Most who swing this bad boy never look elsewhere and scoff at any one who suggests they should. The 2018 season brought with it some great bats, but nothing to knock off the world’s hottest bats ever. Below is our list of the world’s hottest bats ever. We have written so many best bat articles it makes our heads spin. But surprisingly, what we’ve yet to do is make a list of the world’s hottest bats. That is, what bats have been known to be the ‘most hot’ off all time and eternity. In Little League, we consider the Combat B1 the hottest ever. For Big Barrel, the 2017 Drop 10 CF Zen was ridiculous. In Adult league, we think the Redline Z-Core from Easton takes the cake. In Slowpitch we would take the Miken Ultra II. And in Fastpitch, well, we think there are several. 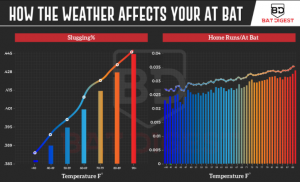 You may also like our hottest bats section that uses real ball exit speeds to determine the bat with the most pop. Without surprise, many of those bats also made our illegal bats list. Obviously, this makes them illegal in most leagues. You may find a few leagues that welcome such crazy hot bats, don’t enforce rules, have no bat standards or where anything goes in a home run derby. In those cases, expect anyone with the above bats to do remarkably well, even if they are a weakling. The B1 DaBomb put Combat on the map. Sadly, they are now a defunct company whose brand is captured under the Easton banner. This B1 was pre ABI testing (Accelerated Break-In) and anyone who stuck with this bat, worked it in and hit with it in Little League was a bomb maker. Now that 2 1/4 is a standard of days gone by, the Combat B1 DaBomb can be found for a song on eBay. And although there are several bats on the market who have made their dent in the Little League space, we give the B1 DaBomb the title of World’s Hottest Little League Bat. Also, see our full list of best Little League bats. In modern history, that is since standard testing has become very restrictive, no bat ever performed in the big barrel space like the 2017 drop 10 2 3/4 Zen. It was, after all, banned in the early parts of 2017. Even compared to bats before the restrictive period, the 2 3/4 drop 10 CF Zen would be considered hot. DeMarini retooled the CF Zen and those bats have both a different serial number and an orange cap instead of the white. However, many of the white cap bats still exist for a massive premium on secondary market sites. Few bats in the world have appreciated in value over the last several years. But chief among those investment bats is the Easton Z-Core Redline SC500 stands. This bat is the Michael Jordan Rookie card of baseball bats. If you are lucky enough to have one, in nothing but hittable shape, expect its secondary market value to be north of $1000. And if you have one new in wrapper, you should put that thing in a very safe place. Also see our best baseball bats. Over the years there have been several crazy hot bats in the slowpitch softball space. Pushing the limits on bat performance is felt no where more acutely than in men’s softball. Most of the world’s hottest softball bats are found in single piece composites. And while many could make the top of our list, we like the Miken ULTRA II as the hottest softball bat in the universe. Do note, however, the bat’s durability is terrible. But, while the handle is still attached to the barrel, expect to hit crazy monster bombs. After hours of real testing, review writing and research—as well as long conversations with major manufacturers and vendors—we think the Rawlings VELO the best balanced bat. See our full list of best bat rankings. Although there are dozens of really, really good balanced bats, we like the Rawlings VELO for its long term commitment to an ultra light swing. Year in and year out there are few bats that give you more bat for less swing weight. And the 2018 version of the VELO, in its numerous sizes, is no different. Before we get too carried away, make no mistake about the fact there are dozens of other legitimate balanced bats on the market. Each is worth your consideration before you pull the trigger. We also suggest you consider more than the swing weight of a bat before pulling the trigger. Among those other factors, and maybe mostly so, we would look at a two piece or one piece construction. That distinction makes the most difference in bat feel. Also before swing weight we would consider the barrel’s material. Do you prefer composite or aluminum on the barrel? DeMarini makes a half dozen CFX bats, so make sure you are looking at the drop 11 if you want the one with the most balance. The drop 10 in the CFX is, we believe, the most popular. But if you want as much bat barrel for as little swing weight as possible, then look for the drop 11. What is a Balanced Bat? We measure swing weights here. That conversation might be helpful for you. Most consider a balanced bat to be the opposite of an end loaded bat. An endloaded bat is one in which the weight of the bat is focused more towards the end cap, and therefore the bat swings heavier. As such, a balanced bat is a bat where the weight is distributed closer to the knob. This shift in balance point makes it so the bat is easier to swing. Some consider a balanced bat in between an end loaded bat and a speed or hand loaded bat. A speed or hand loaded bat is where the weight of the bat is focused towards the knob and a balanced bat is simply in between the end loaded and speed loaded. There is no unified nomenclature throughout the industry. Easton, more recently, has adopted three categories of bat load (speed, balance, end). Most of the other major brands use the two categories (balance, end). We prefer the load spectrum defined into three sections. But, since it is not quite industry standard to use three categories, we use the balanced term often to simply mean a light swinging bat when compared to end load. This encompasses, frankly, the vast majority of bats as only a few are true end loads. In a sport defined by bicep size, most players like the idea of end loaded bats. And in fact, most bats are categorized into how many ounces of end load are added to the end of the bat. 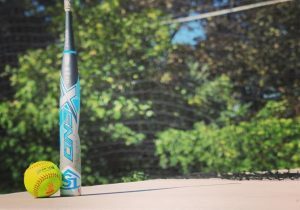 But, if you happen to be playing the sport and are not on steroids, you might consider the Slugger Super Z Balanced slowpitch bat, as it is the best balanced bat out there. Here is a sampling, and link to the review, of some of the 2018 baseball bats considered “Balanced”. With a few exceptions, almost every performance fastpitch bat is considered balanced. We think the best cheap baseball bat (under $50) is Louisivlle Slugger’s VAPOR. The BBCOR version of the bat is over $50, so we have some other options below. But the USSSA big barrel feels great, has a good sized barrel and some legit performance if you can swing it. Our testers thought it felt as good as some bats twice its price. In truth, though, we could do some damage with a $50 budget on eBay with a search like this. If you can afford to be patient, then finding a bat for less than $50 that once sold for 5 or 6 times that number just a few months previously is very possible. You will likely not have any warranty, but our experience with sub $50 bats makes us hard pressed to spend real money on new in wrapper $50 bat from a box store. See our tutorial on buying used bats. See our video comparison between cheap and expensive bats below. How Would We Spend $50? Simply, we’d find a year or two old/used bat on ebay under $50 ending on auction. Sure, we’d lose a warranty and have to wait for it, but you can often pick up great deals on older model used bats. And the upgrade in performance is worth the risk, we think. Also, if you look in October, or so, you’ll find the supply outweighs demand and you have some negotiating power. See these two articles for insight on what to buy when and the pitfalls on how to buy a used bat. Is there any difference between sub $50 Bats? It is difficult to find any reasonable difference between sub $50 baseball bats. In fact, we couldn’t find one which wasn’t some simple aluminum alloy. The only major difference, in terms of performance, was the grip texture. Some bats had a perforated grip while others a more slick feel. Our experience is we like the perforated grips better as they tend to keep their tack a little longer. Otherwise, you are buying a paint job and a barrel profile. Is the $400 bat that much better than the $40 bat? For most, it is not a question of being able to afford a more expensive bat. It is a function of simply choosing not to spend your money in that direction. Our role on this site has always been to find the differences in bats and measure their performance changes. As such, we think there is a considerable difference between a $40 bat and a $400 bat. The feel, usable barrel profile and actual performance are measurable better in a more expensive bat. We’ve also found that the better a hitter gets, the less useful they find a high performance bat. Great hitters can make just about anything work, and work well. But, for younger players trying to have success at the plate, we think a good bat means a lot. Even still, it is no substitute for good old fashioned practice. If we wanted a sub $50 BBCOR bat, and needed it brand new, the S250 from Easton will work as good as any. It swings light, has a decent barrel profile and we like the perforated grip. The S250 is a traditional one piece aluminum with nothing particularly fancy about its makeup. The industry has been making bats like this for the last several years. As we state above, if you have the patience and time, it would make sense to buy a used BBCOR bat if $50 was your high water mark. Try a search like this on eBay and you’ll see there are several used BBCOR bats in that range—these are much better than the S250. In fact, at the time of this writing, we found an 2015 Easton MAKO that sold for $46. This bat was listed, and sold, for $449 just a few months ago. Our hitters liked the bigger barrel and smooth feel on great contact with the Slugger Vapor. It is the only bat on this list we think performs above its price point. We would likely choose this bat over several single piece bats twice its price. Slugger has as single piece composite bat they refer to as the Catalyst. This bat runs around $100 and keeps tabs on the rising price of the VAPOR which we think could sell just fine at a price point closer to $100. That said, just like the BBCOR bats, we think some patience and a good eye could go a long way with $50 on eBay with a search like this. At the time of this writing, we found a MAKO Torq in a drop 8 that went for $46. That bat sold for $349 about 2 years ago. It was no where close to worth $349, but is surely worth more than $46. USA Bats doesn’t have the advantage of being around for a long time and, ergo, lacks a real robust secondary market. In fact, we couldn’t find any good used USA bats. That leaves many of us stuck finding the best cheap USA Bat new in wrapper. We have a running article on that topic. There we chose the Rawlings Prodigy. We think that a great bat, but it has limited distribution as it is only available at Target. The Rawlings Raptor is quite similar and can be found everywhere, including Amazon. Our hitters liked the fact the Raptor comes in a true drop 10 but still keeps the 2 5/8 barrel size. As well, we think the VAPOR from slugger another legit sub $50 in the USA space. However, note it does swing heavier as a drop 9. Although not technically “wood”, we think the best $50 you could spend on a wood-like bat is on a BamBooBat. These bats are great entry level bats that swing well, have fantastic durability. As well, they are less expensive because Bamboo is a grass, not a wood. Do note, however, these bats might not be legal in a wood bat league. Another option in the wood bat space would be to look for high quality blem bats. These blems are almost always a cosmetic, not functional, issue. See our article on finding blem bats.